Hey there, Bears Fans! ? In perhaps the slowest week we’ve had all offseason, I’m sure that I’m not the only one wishing the NFL Combine would just get here already. ? This week, our Chris Bocker explained why Ryan Pace must stick to his best player available strategy come draft time. Steve Letizia took a deep dive into the current roster and found three players who have the potential to grow into much larger roles in 2018. On Wednesday, Mark Talarico touched on Calvin Ridley and explained the pros and cons of drafting the wideout in the first round. 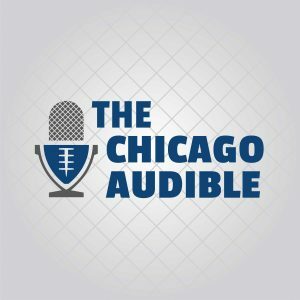 And on the podcast, we discussed the benefit of the Bears partaking in the annual Hall of Fame Game, Nick talked about meeting Mitch Trubisky over the weekend, and we all talked about some of our ideal players we’d like the Bears to bring to Chicago this offseason. The Bears must bolster their roster by drafting the most talented players regardless of position. Who on the current Bears roster can make the jump from unknown to solid contributor – and possibly more? Should the Chicago Bears draft Calvin Ridley in the first round? Take a listen as we discuss the Hall of Fame Game, Nick meeting Mitch Trubisky, their “dream” offseason acquisition, one player the Bears should draft from each of their alma maters, and much more including answering another round of fan questions.